Quotations about Air Max. Quotes to stimulate mind and drive action! Use the words and quote images to feed your brain inspiring things daily! 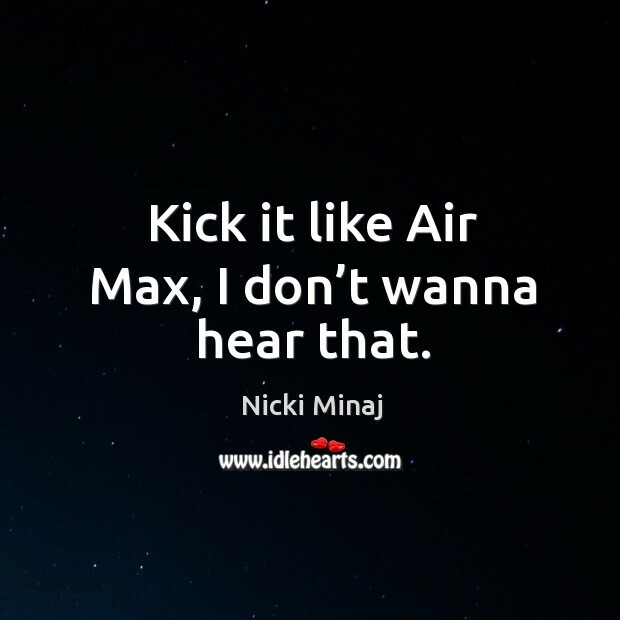 Kick it like Air Max, I don’t wanna hear that.